Winter inspired food decoration, green branches arrangements, fresh flower bouquets and tea candles make wonderful table centerpieces for New Year’s Eve party. Creative and simple table decorations, sweet treats and good friends are ingredients for fun time and great party to welcome the new year. Black and blue table centerpieces, spiced with golden and silver accents look stylish and elegant. Evergreen branches, berries and fresh flower bouquets are great table centerpieces for eco friendly New Years Eve party decor. Tea candles, combined with fresh and dried fruits, add a romantic flavor to New Years Eve party table decoration, creating mysteriously glowing table centerpieces and a special atmosphere for the magic night. 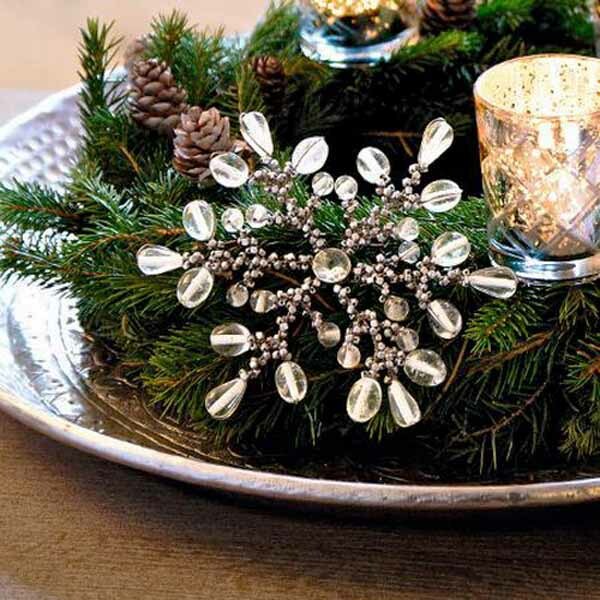 New Years Eve party table decoration can be inspired by winter landscape. White, black and blue color shades look gorgeous with shiny silver tones, creating an attractive mix of sparkly things to emphasize the winter decorating theme. Stars, made of aluminum foil, are excellent table decorations for New Years Eve party. White, black, blue or silver wrapping paper makes a bright table runner for a special event. Combined with silver stars, black and blue table cloth add festive contrasts to New Years Eve party table decoration. 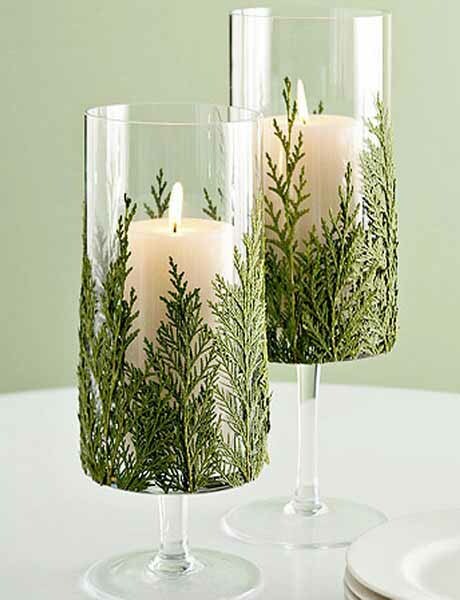 Christmas tree ornaments, added to green branches with berries, pine cones, fruits and tea candles, turn a simple glass bowl into a dramatic table centerpiece for your New Years Eve party. Tin cans and driftwood pieces can be transformed into impressive candle holders for unique table centerpieces and party decorations. 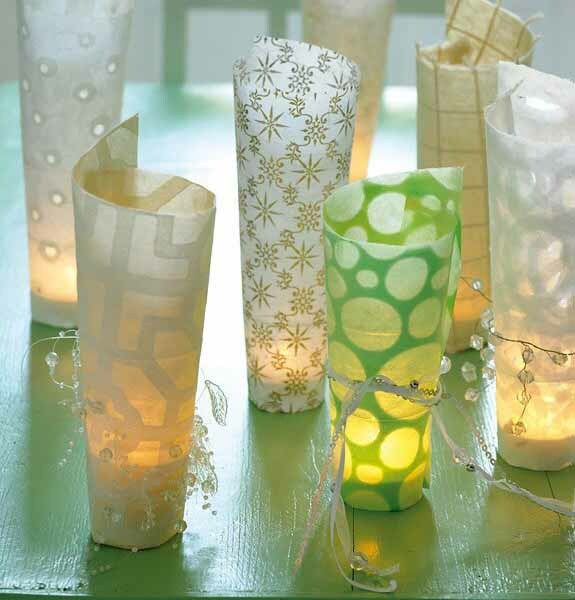 Few same size plant pots, large juice glasses, glass bowls, small scale vases or tin cans, decorated with paper stars and snowflakes, make unusual and elegant candle holders for stunning New Years Eve table centerpieces. Quick to make napkin rings, made by bending metallic pipe cleaners or stripes of aluminum foil into the shapes of the year digits and decorating them with silver ribbons or stars, add glamorous accents to New Years Eve party table decoration.